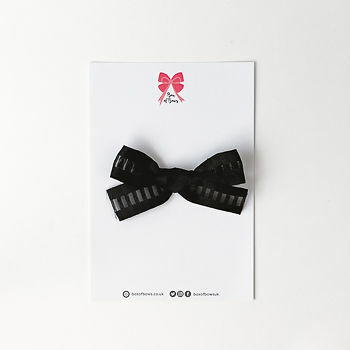 Our Amelia bow is black ribbon with beautiful detail. Free delivery. Bunches / sister packs are shipped in a pink bag.